Have you ever wondered what your Rouxbe instructors' favourite dishes are? Join Chef Kirk Bachmann as he explores the simple, yet creative, innovative and truly beautiful cuisine of The Nordic Region. Kirk Bachmann previously served as the President of the Auguste Escoffier School of Culinary Arts in Boulder, Colorado. He holds a Master’s degree in education, is a Certified Executive Chef and a member of the American Academy of Chefs. 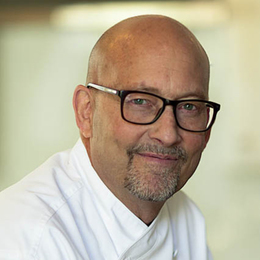 Kirk is a 4th generation chef who spent 18 years implementing culinary, pastry and hospitality programs as the Vice President of Education for Le Cordon Bleu Schools North America. He began his culinary career in the pastry kitchen of his father, a master pastry chef. After graduating from the University of Oregon, Kirk went on to receive his formal culinary training at Western Culinary Institute, in Portland, Oregon. He was later a chef instructor at Western Culinary Institute. Kirk’s role with Rouxbe will be instrumental in helping to expand the scope of enterprise and industry training services offered by Rouxbe. He also serves as a lead instructor in Rouxbe courses.